The yoga challenge system is a complete series of videos, designed to lead the practitioner through beginner to the most advanced postures. 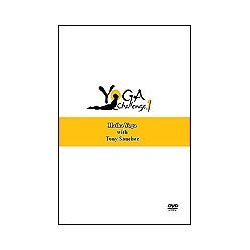 Yoga Challenge I is the introductory 60 minute workout, with Tony demonstrating the full postures. The yoga challenge system is a complete series of videos, designed to lead the practitioner through beginner to the most advanced postures. Teacher Tony Sanchez, is a well known master in the tradition of Bishnu Ghosh and Bikram Choudhury. For Bikram students, who want to expand their horizons or anyone who wants to follow a well organized system of asanas, this series is a wonderful tool.Yoga Challenge I is the introductory 60 minute workout, with Tony demonstrating the full postures and students Anthony and Roberta doing more limited forms of the workout, demonstrating the possibilities for all of us. 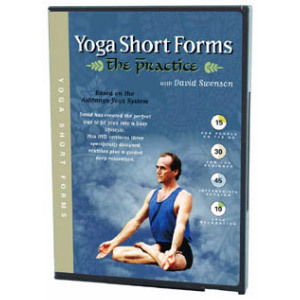 Included in this video is an inspiring demonstration of Tony’s award winning routine which won him the highest honors at the 1994 International Yoga Federation exhibition.